Opioids (such as hydrocodone, oxycodone, codeine, and morphine) mask your symptoms and do nothing to address the cause of your pain. There is an opioid crisis raging. For over 6 decades, Foot Levelers has offered a sensible and safe alternative to opioids: Custom-made orthotics. Our custom orthotics help relieve low back pain as well as hip and neck pain by removing imbalances in your musculoskeletal system, which originate in your feet. 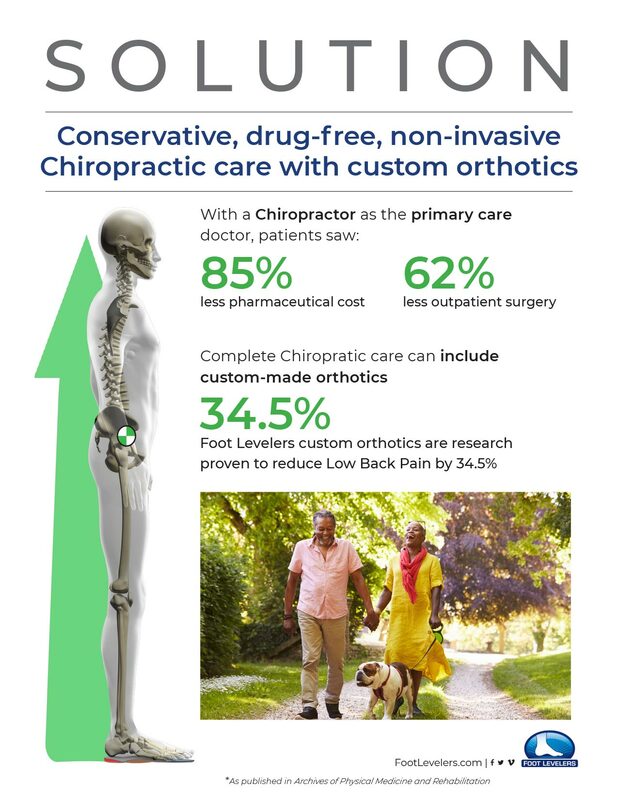 Before considering taking an opioid for pain control, give Chiropractic care and Foot Levelers orthotics a try. The combination of Chiropractic and Foot Levelers orthotics have been proven in clinical studies. FACT: In 2015, approximately 2 million Americans had substance abuse disorders related to opioid medications. FACT: In 2012, 80 out of 100 Americans were prescribed opioids. That equates to about 259 million prescriptions written for opioids – more than enough to give every American adult their own bottle of pills. Wonder why there’s an opioid epidemic? What's the chance you may die from an opioid overdose? Hint, it's greater than your chances of dying in a car crash! 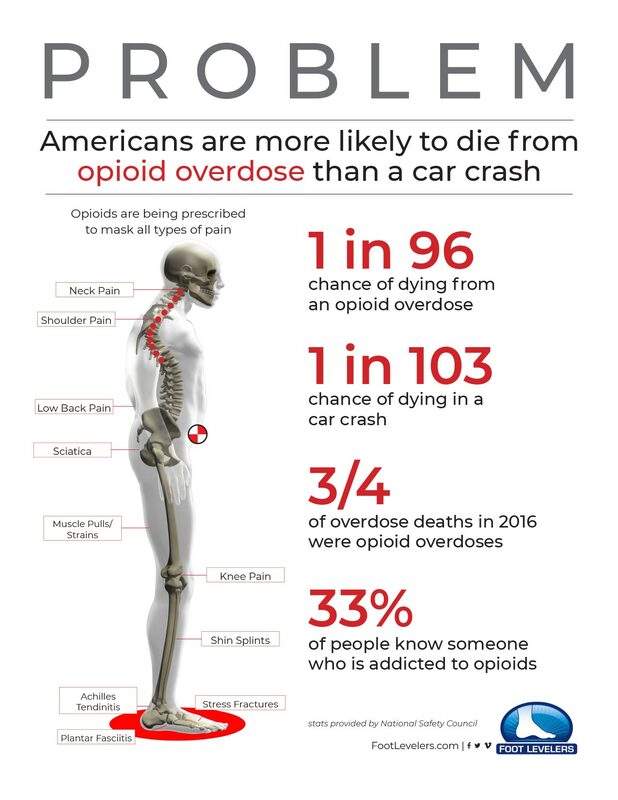 Download the Opioid Problem/Solution infographic to discover more facts about the opioid crisis and solutions.